master artisan on Miss World tiara. Firenze Jewels is a third generation family owned and operated jewelry firm located in the heart of the New York City Diamond District. 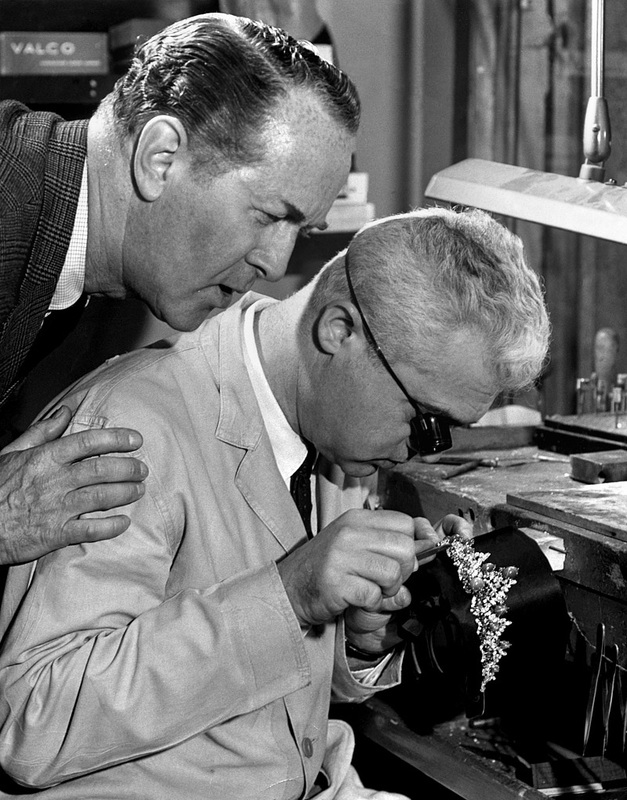 Talented designers and graduate gemologists from the renowned GIA (Gemological Institute of America) are on premises and collectively bring decades of knowledge and expertise to ensure every shopping experience is a positive one. We feature an extensive collection of high quality diamonds certified by the most respected diamond grading laboratories. All of our diamonds are 100% natural and have not been treated in any way. Firenze Jewels is deeply committed to selling only ethically sourced conflict free diamonds. We fully support the Kimberly Process Certification Scheme and work closely with only the most reputable suppliers to ensure compliance. The superior quality gems and world class craftsmanship has established us as leaders in the Diamond District of Manhattan. Adriana Levin spearheads as Director of Design and Operations, working closely with master artisans bringing you the unparalleled quality and style that our clients have come to expect. In addition to a renowned collection, we continually travel abroad bringing you the finest vintage and modern jewelry creations from across the globe. We are authorized dealers of leading bridal and fine jewelry designers including Christopher Designs, Simon G, Natalie K, Charles Krypell, Doves Jewelry and Le Vian. We at Firenze Jewels, have proudly created many exqusite pieces including the Tiara for Ms. World. Our clients include numerous Hollywood celebrites, Broadway and music stars, world famous Opera icons and distinguished members of the art world. 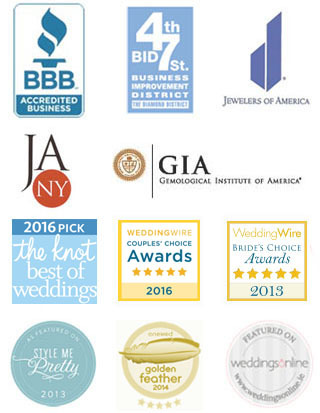 We are also top rated memebers of Jewelers of America and the Better Business Bureau. For sixteen consecutive years, Firenze Jewels' Jeffrey Levin was elected by other 47th Street merchants to serve as Chairman of the Board of the Business Improvement District of the 47th Street Diamond District. Jeffrey has worked closely with the Mayor’s office, the New York City Department of Consumer Affairs, and other city officials, to uphold and protect the rights of all consumers doing business in the Diamond District. Charitable contributions include the American Red Cross and St. Jude Children's Research Hospital. 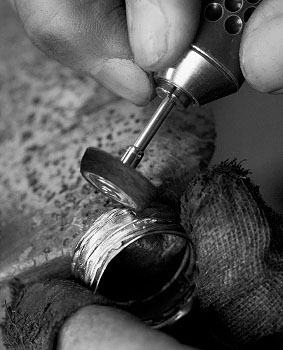 At Firenze Jewels our deep commitment to each client's satisfaction has become our trademark throughout the generations. We warmly welcome you to our family, where our pledge for service, quality and value is a proud tradition.